This is IT!! PRICED JUST RIGHT!! 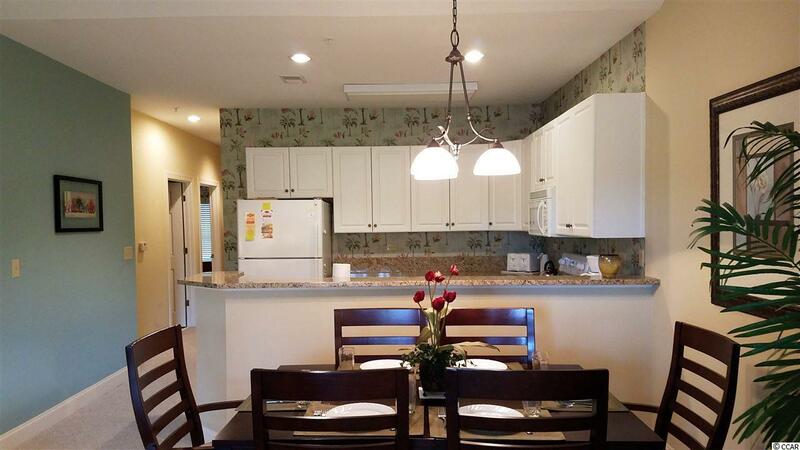 This beautiful FULLY FURNISHED TOP FLOOR CONDO has been lightly used by its ORIGINAL OWNER for annual vacations only and has never been on a rental program. 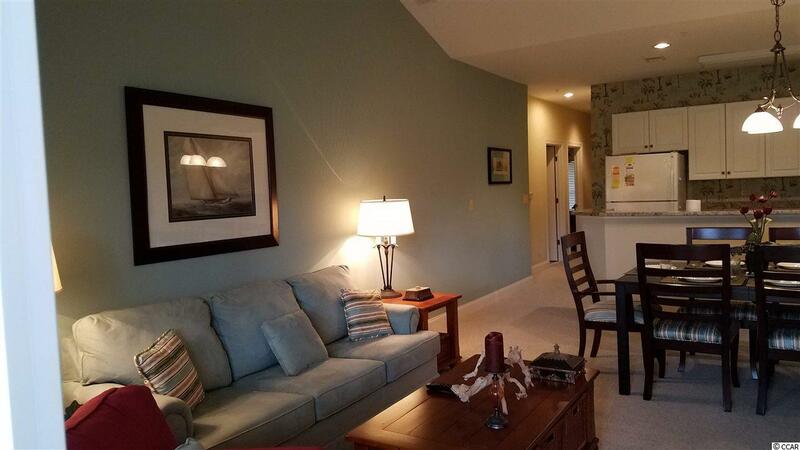 This unit enjoys gorgeous sweeping views from its 3rd floor balcony overlooking St. Augustine at World Tour Golf Links. CUSTOM DECORATED and features QUALITY FURNISHINGS with the discriminating buyer in mind. Don't worry about stairs as this is one of the few communities with an ELEVATOR! 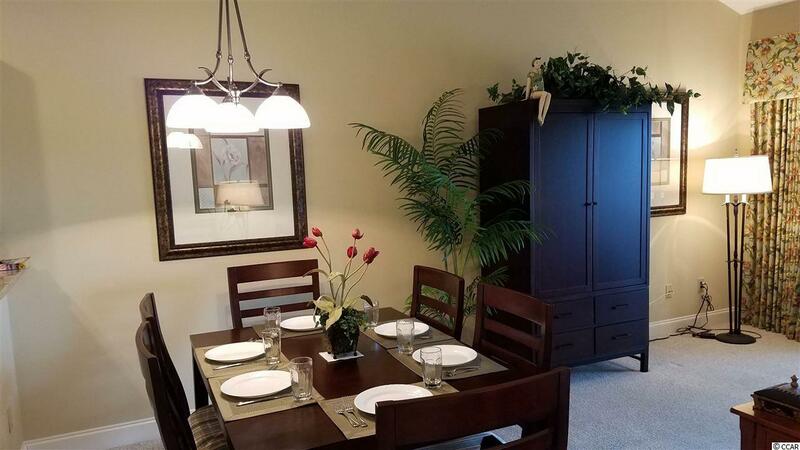 Large kitchen with granite counters and high top counters, open concept living/dining room with VAULTED CEILINGS. MASTER BEDROOM has TRAY ceiling and private bath/shower combination. Conveniently located directly ACROSS FROM THE POOL and sundeck with fitness center, gathering room, BBQ Grill and bathrooms. 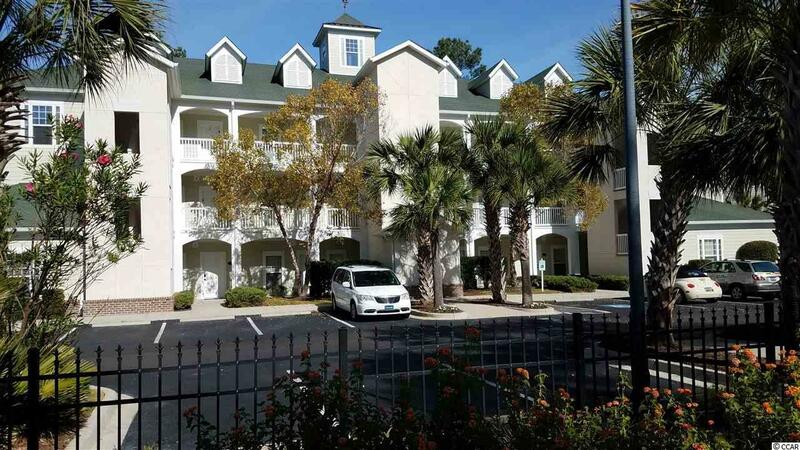 Grande Villas is a highly sought after property because of its amazing location with a short drive to everything that the Grand Strand offers. Myrtle Beach airport is just 10 minute drive, Tanger Outlets, many restaurants, Coastal Grand Mall, Market Common, Broadway at the Beach, Alabama Theater, Barefoot Landing, Hard Rock Caf', House of Blues, Carolina Opry, Pirates Voyage, The Hollywood Wax Museum, Ripley's Believe it or Not and Aquarium, Sky Wheel, The Boardwalk, Broadway at the Beach, Dinner Shows, Tournaments, Legends in Concert and of course all of the fantastic GOLF Courses Myrtle Beach is famous for. Something for everyone! The beautiful Atlantic Ocean is just 10 minutes away. This property would make a great 2nd home or as an investment with its ability to rent both short term as well as long term. This home is TURN-KEY READY to start enjoying! Don't spend another Winter up North! !